This is going to be a recap of not just the race, but my whole 2.5 day trip to South Padre Island…you have been warned. You know, just in case you wanted to read just about the race. But you can scroll down, it’ll be right after I talk about the expo. It starts with Thursday. I slept horribly and had really bad dreams. Not exactly nightmares, but there was a LOT of anxiety involved. I dreamed that I was doing a half Ironman triathlon and was completely unprepared and it was just horrible. So I was up before 6am. I decided after like 45 minutes of tossing and turning to just get up and go ahead and do my packing for the weekend. I got everything but toiletries and my computer packed, then I changed and headed to the gym. 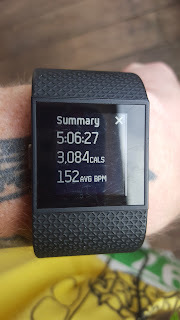 I did my hour on the elliptical followed by the Body Pump class (I was afraid I was going to be sore from this class, but it all turned out just fine and I wasn’t). After the gym, it was only 10:30am so I was going to go pick up my new running shoes from the UPS main location. I decided that I would plug in my hotel’s address into my navigation system to see how long the drive actually was and was horrified when it said 6 hours!!! Whoa! I thought it was like 4, 4.5 tops. 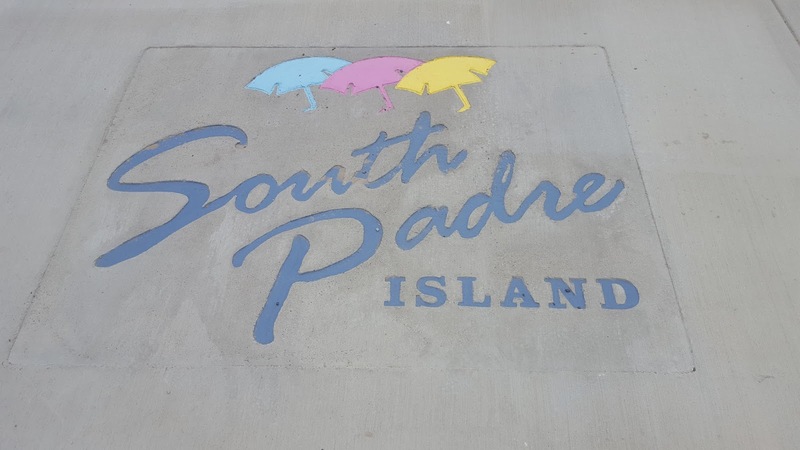 I have never ever been to South Padre Island before. I’ve been to Corpus Christi, but South Padre is like 150 miles past that. Didn’t realize that. Oops. So, I rushed home, showered, ate my eggs, finished packing and flew out the door. I stopped at UPS on my way out of town and tossed the box in the back seat. 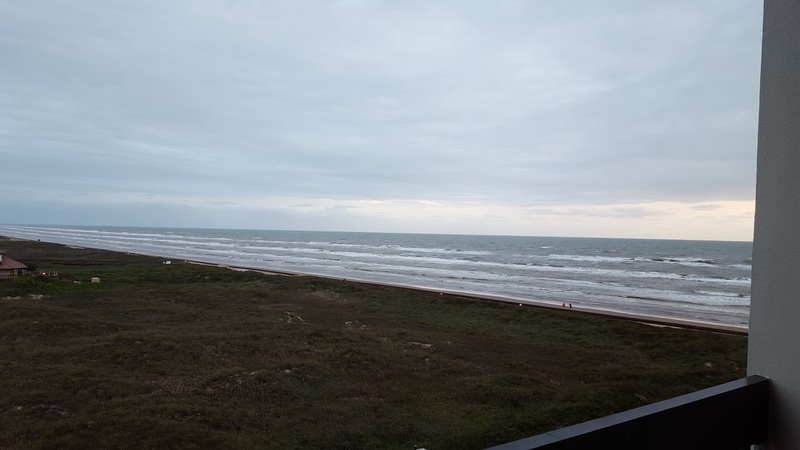 So, I made the 6 hour drive from north of Austin down to South Padre Island. I arrived and checked into my hotel just after 6pm. 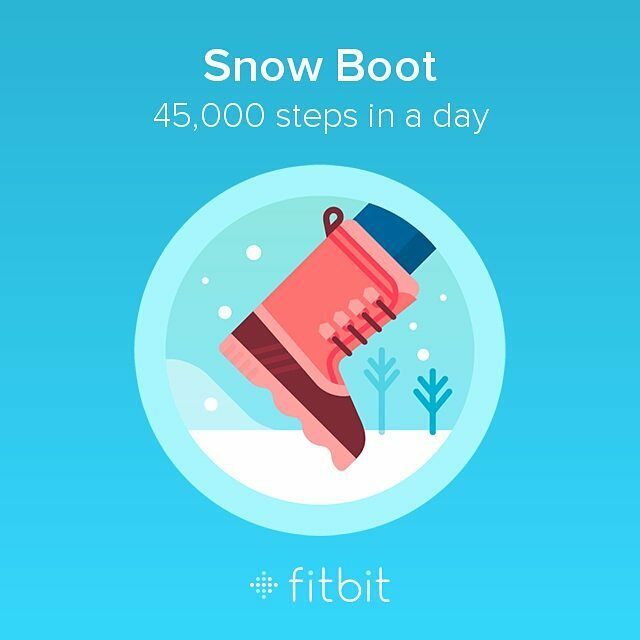 I had initially intended to get into town by 4pm and do some walking, but obviously that wasn’t happening. I slept GREAT Thursday night, which is good because as I said I did not sleep well at all the night before. I was still up around 6:30am Friday, but I was perfectly fine with that as I was fully rested and would need to get up Saturday around 3:45 to make sure I got everything packed up and into my car so I could check out before heading to the start line as I did not make my reservation thru the night of the marathon, so I would be driving home (don’t worry, I brought all my compression gear to wear for the drive home, otherwise I wouldn’t be able to walk when I did get home) within 2 hours of finishing the marathon. I got up Friday and looked outside and it was beautiful. The balcony of my room sort of faces the beach, so it was a great view to wake up to. Around 8am, I pulled my boiled eggs out of the fridge and was going to eat them only to discover that the mini fridge had FROZEN them. Great. So, I ended up at Denny’s and yes, I did regret that afterward. The taste wasn’t that great and it was like a full day’s worth of calories in one sitting. Ugh. Not worth it. Oh well, regret nothing, no food shaming, right? Right! 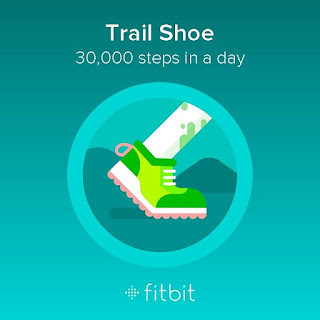 I walked down Padre Blvd and ended up back at the hotel with over 11,000 steps for the day and it wasn’t even 11am when I got back to my room! The expo started next door at Schlitterbahn Resort at noon, so I just relaxed in my hotel room and watched some TV. 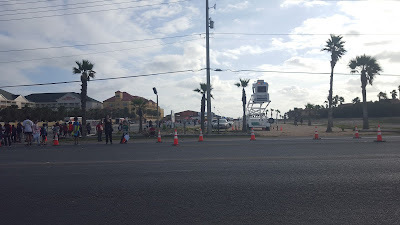 Since Schlitterbahn is the property directly next door to where I’m staying, I just hopped onto the beach and walked on over to go to the expo! I ended up going into the expo the wrong way and got lost as far as where I was supposed to go first. It took me 3 trips to the packet pickup table before I could actually get my packet! HAHA! 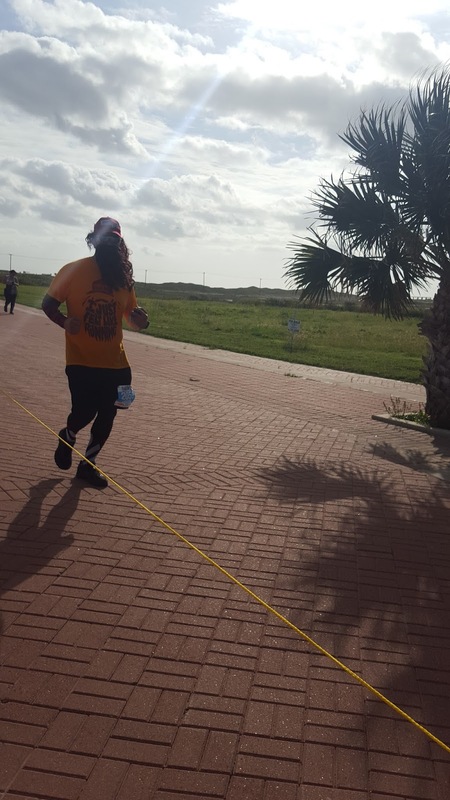 But, I got it all figured out, with help from Derrick who heads up the South Padre Island Marathon social media crew! He recognized me from Instagram and pointed me in the right direction. 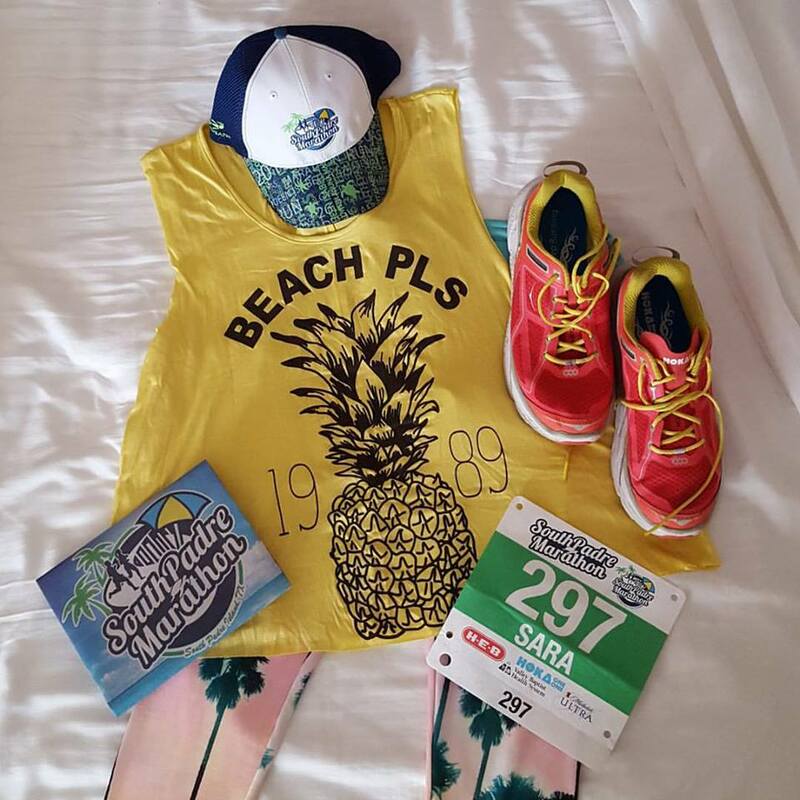 I got my packet which was just my bib as I had registered early and already got my participant shirt in the mail. 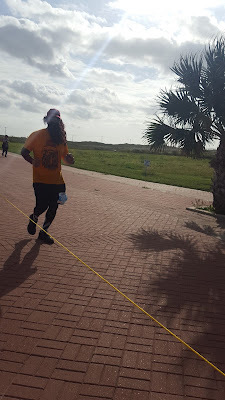 I also got hooked up with my wristband for Clayton’s Beach Bar so I could get my free beer post-marathon. Woot! 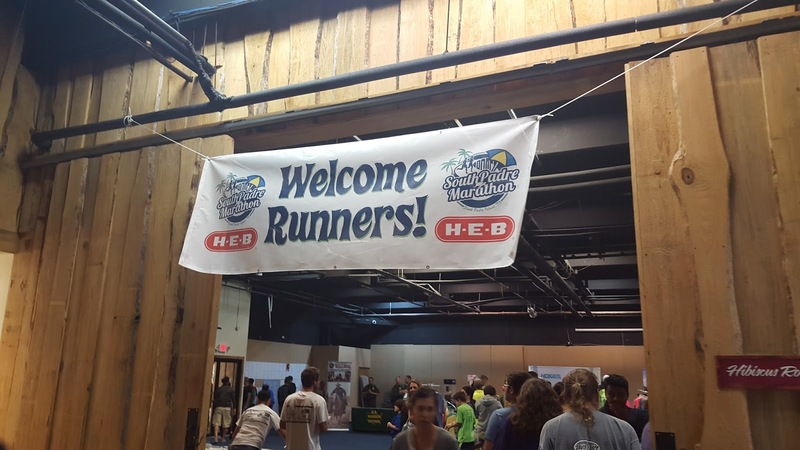 After I got my packet, I went into the expo and got to shoppin’! 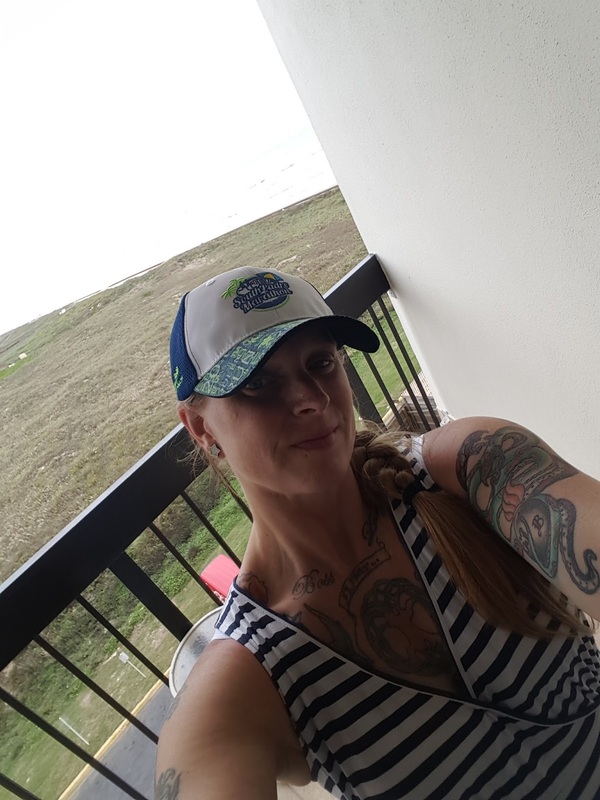 I picked up one of the custom trucker hats (they had 2 varieties, the one I bought with turtles and location names on the bill in a very artistic fashion, and one that just had some sea turtles on the bill) that I had been eyeballing in their store on the internet. I also picked up an official merchandise tech shirt. I really dig the salmon-coral color! Non-race specific things I bought were a FuelBelt brand fuel belt. Haha…but seriously. It holds like 10 gels! Holy mother of batman! Can you just imagine the distances I could run without stopping at the car to grab more gels? Crazy distances, we’ll just say that! 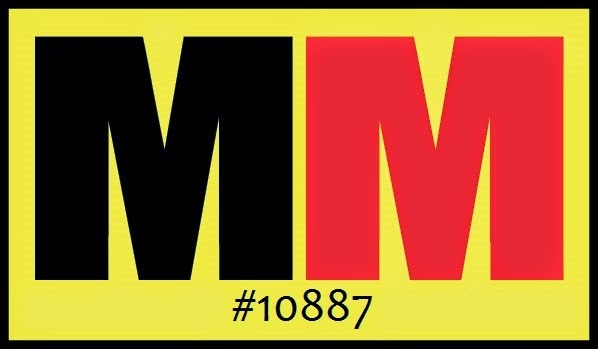 It also means that when I run a marathon I no longer have to wear 2 gear belts just so I have enough loops for my minimum of 5 gels I need to consume when running a marathon. YAY! Oh and I also bought a GU flavor I’ve never had before and hope doesn’t taste horrible: caramel macchiato. I’ve had some GUs that taste beyond horrible and nasty. But, I brought 5 gels with me, so this makes 6 that I’d have with me for the marathon…you know, just in case I bonk and need the extra. Which is entirely possible seeing as how I’m not trained for this distance right now. After I shopped the expo, I found Derrick again and he did a quick video interview with me. YAY! I felt like a dummy when I didn’t have an answer for what touristy things I wanted to do while I was there. I should have just said “walk on the beach” instead of “I don’t know.” Oh well. 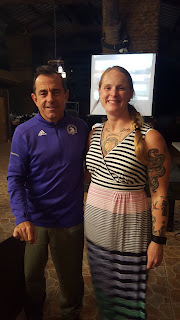 After my little interview, I figured out where I needed to go to get my actual ticket for the pasta dinner, which I got to keep because they didn’t even ask for it when I walked into the rooftop restaurant for the dinner! 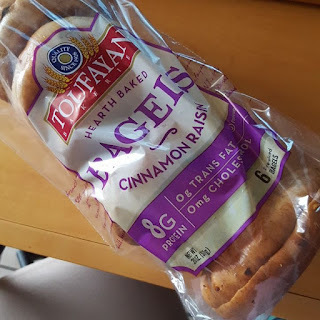 After the expo, I went to the store to get an entire bag of bagels because the bagel shop I was going to go to was closed because the owner/operator was out fishing and wouldn’t be back until Monday. Ugh. Oh well. I then went to a local coffee shop and got a cup of cold brew coffee to get my motor started before the marathon. I then decided to try out this local burger joint, Burger Fi. Really great tasting beef, but the burgers are super small (but not sliders…like the size if you put 2 sliders together). And it didn’t help that I thought my total of $7.73 included a single patty burger with bacon and cheese on it plus a drink…but the guy that took my order didn’t input the bacon or the cheese. So, rather pricey, even though I’m sure it’s high quality ingredients. And I got a frozen custard concrete after the burger and it was meh. After all was said and done for the afternoon, I set out my flat runner for the marathon. 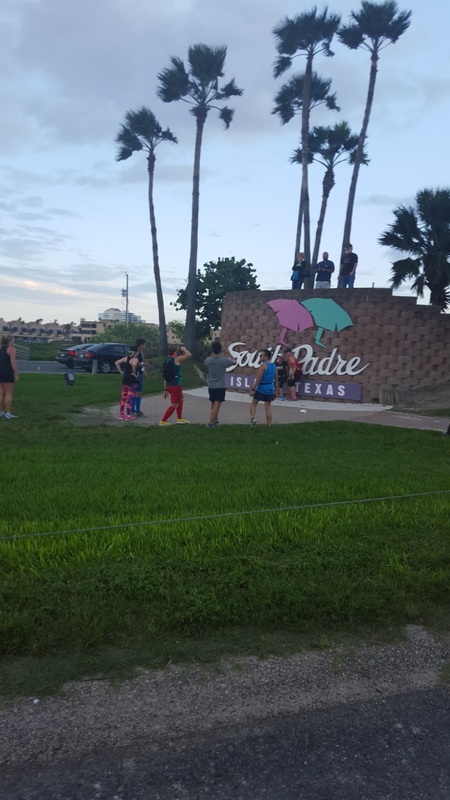 Just before 6pm, I drove my car next door to the Schlitterbahn Resort (well, I had to park in the water park parking lot and walk thru the closed park in the dark…spooky!) because I didn’t want to be walking around after dark and risk hurting myself on the sidewalks that were poorly maintained for the most part. The dinner itself was subpar. I got the fettuccini noodles and had to ask for extra noodles because the lady only put like a child’s portion on my plate to start. 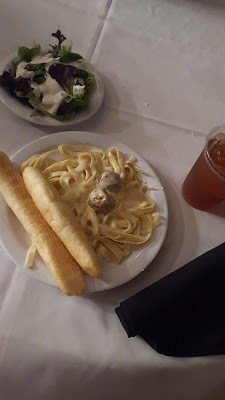 Then, I got a whopping TWO super salty meatballs, and the weak alfredo sauce…that I also had to ask for more of because they didn’t give me enough to even barely coat the noodles at first. The salad was good, but it was just mixed field greens with full fat ranch blobbed on top. Good thing I ate all that food during the day because that would have left me feeling lacking in the morning. The big highlight of the dinner was the speaker: Dave McGillivray, race director of the Boston Marathon! "It's my game, it's my rules." "My greatest accomplishment is my next one!" I did, of course, get my picture taken with him. I am obsessed with the Boston Marathon and hope to run it someday. I’ve done a blog title logo in the shape of the Boston unicorn. 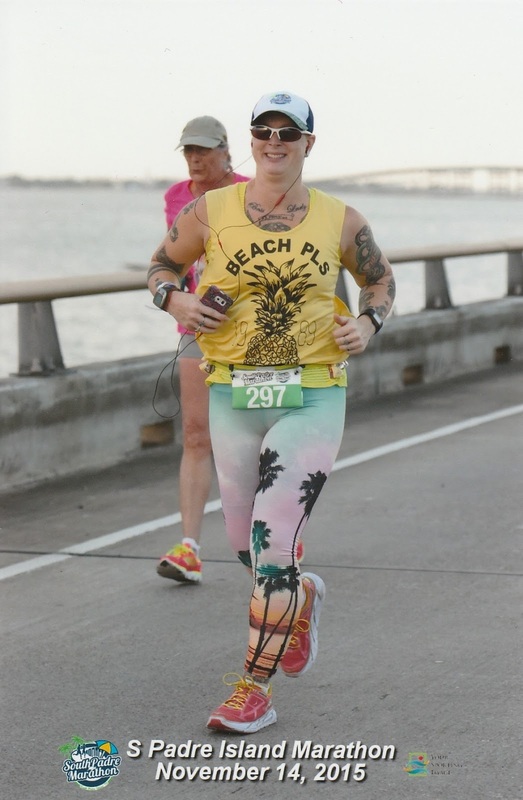 I have decided that when I do someday qualify to run it, I will make at the very least a shirt or tank top with that unicorn blog logo printed on it. I’d like to make a visor through the company Headsweats as well. Hopefully I don’t have to make a large order and can just get away with one item, but will pay for up to 10 of each item if I have to. But that’s way down the road and has nothing to do with this race. Haha! And now onto the morning of the race! As I mentioned, it started EARLY. The shuttle from the parking area to the start line only ran from 4:45 to 5:45 and I didn’t want to get stuck on one of the later buses. I wanted to be parked no later than 5am. I would much rather be super early than late to a race. 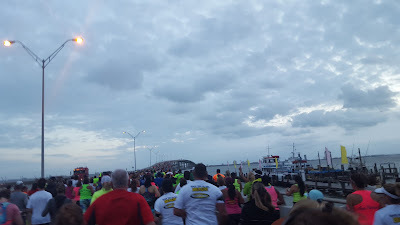 I was thinking that the race started at 7:30, but the actual start time was 6:30. I set my alarm for 3:45 and was out of bed within 5 minutes of it going off…I just wanted to do some back stretches before I got up. I did what I needed to do to get ready, but I had already set everything out the night before so it didn’t take long. I got everything packed up and rolled the big stuff out to the car and stuck it in the trunk. I went back upstairs and grabbed the last of things and went to the reception counter and checked out of the hotel and then drove to the water park parking lot at Schlitterbahn and sat in the car for at least 10 minutes before making my way to the shuttle bus that would take me to the start line. I met a couple great people on the shuttle bus (Sonya from Ft. Hood and Carlos from north San Antonio) and we actually hung out until I just happened upon my friend Bill (who’s shower I would be borrowing post-race) and his 2 friends Amy and Ashley. 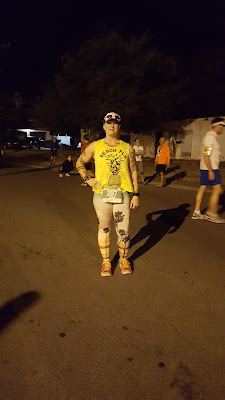 I had asked Sonya to please take my starting photo for me, and she was nice enough to do that. Bill had attempted a marathon once before but got medic’ed out of the race before he could complete it. Amy and Ashley had never even attempted a marathon before, so this was all 3 of theirs first marathon. Bill gave me his extra room key because I would finish the marathon before he would and then I wouldn’t have to wait for him afterward if I didn’t want to. 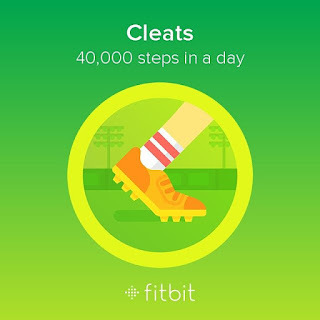 I did my warm up of leg swings, calf raises and 3-way calf stretches. The start was delayed about 10 minutes because about 3 shuttles were running way behind. 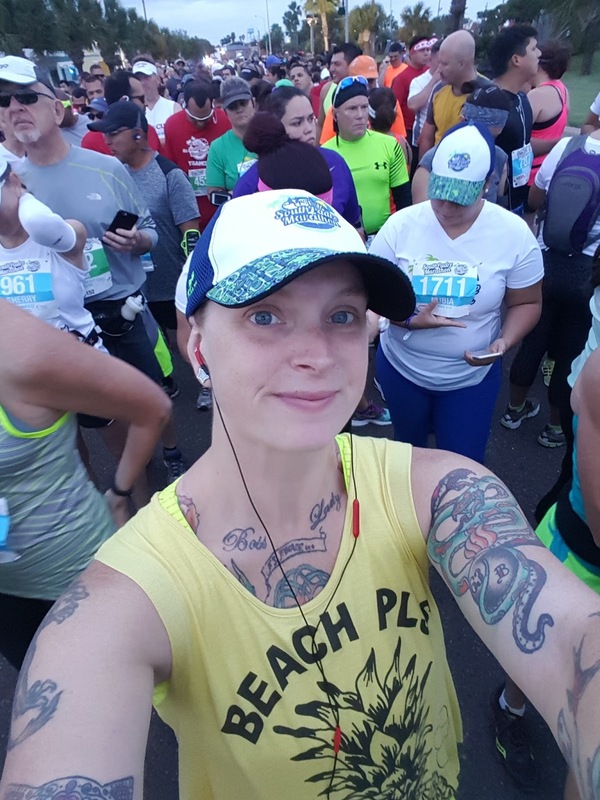 While we waited, I took a start line selfie. The gun went off and off we went! 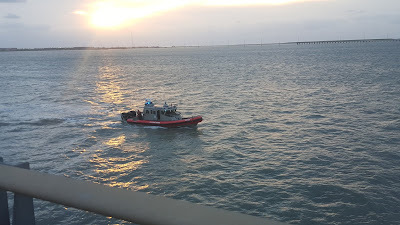 We crossed the start line within 2 minutes of the gun and then we were off to run a little over 2 miles across a bridge! On the bridge was our only “hill.” I knew, after getting to run the entire length of the Ladybird Lake boardwalk in Austin less than a week previously, that I would love this part of the run. And I was completely right. It was so amazing! What made it even more amazing is that pedestrians and bicycles are not allowed on the bridge, so this was history! 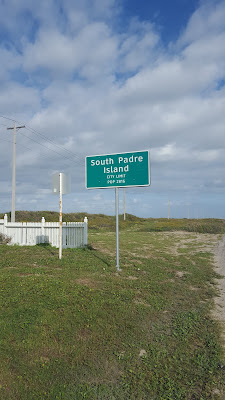 After we crossed the bridge and were back on the island, we were greeted by the South Padre Island…sign? I don’t think that’s what it is called. 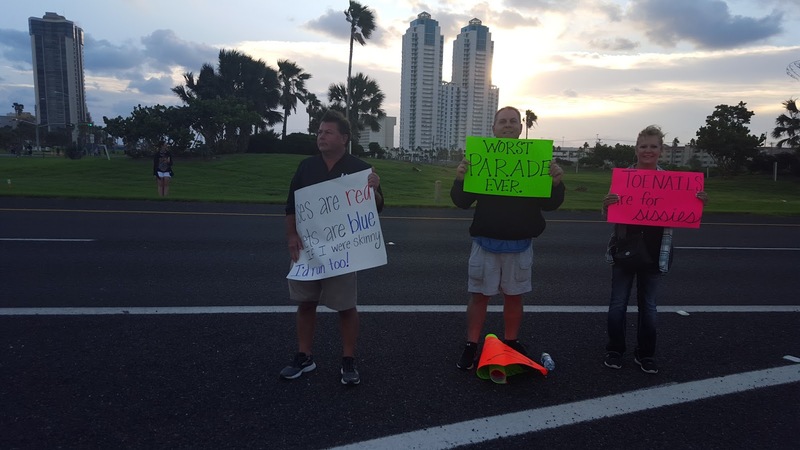 There weren’t a LOT of spectators, but there were still a few really good signs. Of course Team RWB was there in force. 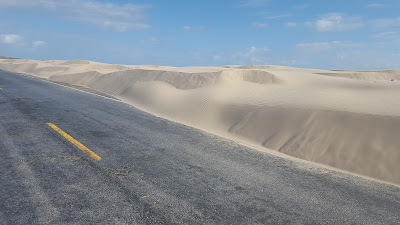 As we ran through a park at the far south end of the island, the sand was just blowing across the road. I stopped for a beach selfie. As we left this park, we crossed the 5 mile mark. 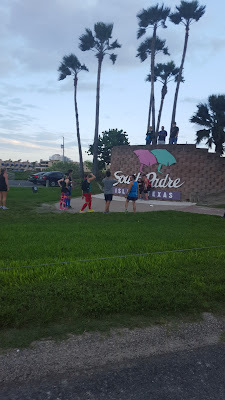 We ran up Padre Blvd for a little bit after that, then we took a side trip into a couple of the neighborhoods and residents were out in their driveways watching us, their kids giving us high fives! Before we had our first little out and back portion, which was before the half and the full split ways, we ran past the finish line at Clayton’s Beach Bar. Then we ran through this upscale neighborhood still in the building phase. Not many houses here yet. There was even a guy dressed as Forest Gump! I’m pretty sure he only did the half as I didn’t see him after this. And then there was the split! The half turned right and went back to Clayton’s and the full went left and to the end of the road at the north end of the island. 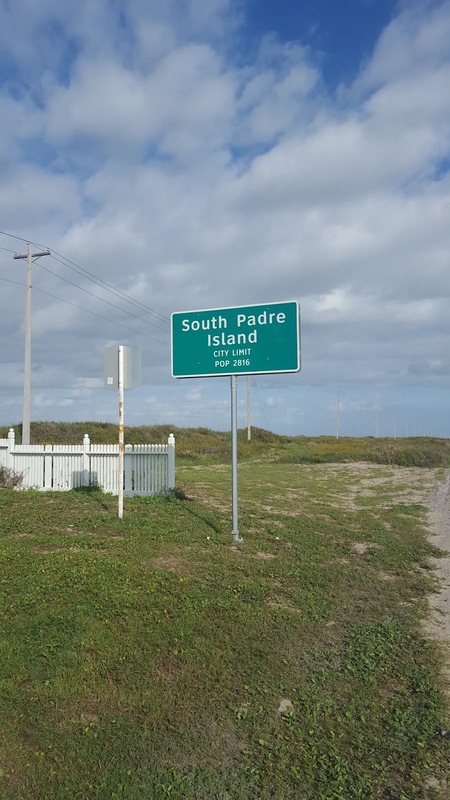 For some reason, even though no one can actually come onto the island from the north, they felt the need to put a city limit and population sign at the north end of the city’s limit. And then I was at the almost halfway point. Even though there wasn’t much variety in the scenery north of the city limits, it was still gorgeous. 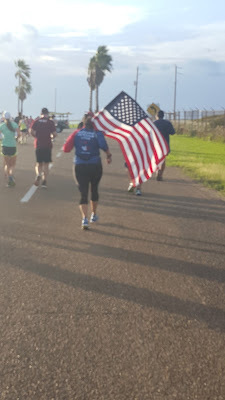 At about mile 25 there was a photographer and she was great! She would take a few photos of you and then give you a little pep talk and tell you that you were doing great and fantastic and that you were almost there! 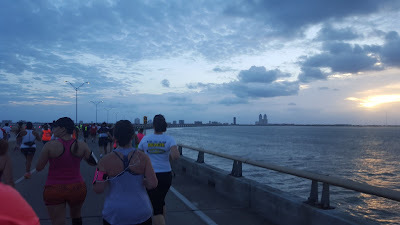 This is about the time where, I don’t think I hit a wall, but I was definitely ready to be done running. My feet hurt, I knew I had numerous blisters, because the shoes I was wearing are actually a ½ size too big for me and I’d never worn them for anything longer than a half marathon distance. Around mile 15 is when they started rubbing me the wrong way. 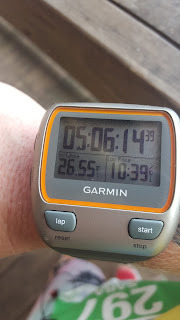 Mile 25 is when my pace started to drop a little bit, but not too badly. 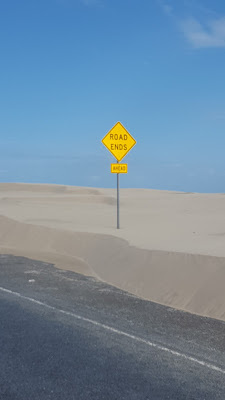 Then, the REAL sign that the end was near appeared. 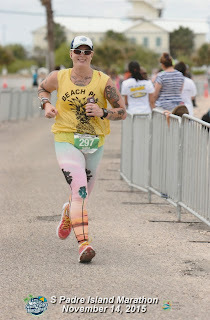 As I approached the finish line shoot (it was a looooong one too!) and everyone started cheering. This race was capped at 600 marathon participants, so it’s not like we were coming across the finish line in groups or even pairs. They started cheering and calling my name (it was on my bib) and the lady with the cowbell started ringing it. I got all teary eyed. 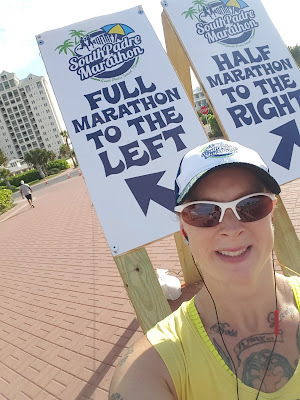 I was more emotional for this marathon than for any of my others, including my first marathon! It was crazy. 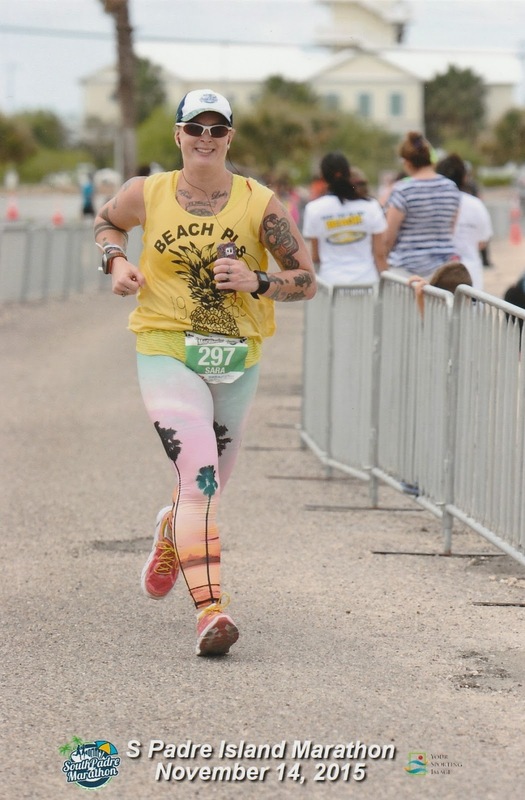 But I held it together as I crossed the finish line and was given my medal. And oh what a medal it is! It’s big and gorgeously designed! This was not my fastest marathon by over 20 minutes, but it was also not my slowest. I beat my slowest time by about 9 minutes. 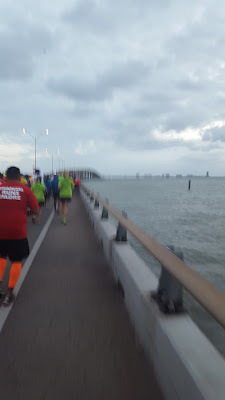 I had an overall average pace of 11:31 min/mi. Not too shabby considering I wasn’t able to properly train for this race because of spraining and fracturing my ankle. Here’s the breakdown of my Garmin data. 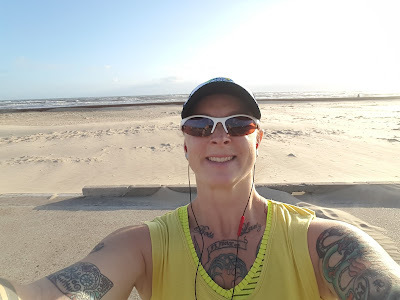 I started off cruising at a comfortable pace, starting off slower so I didn’t burn out. I was feeling things out and making sure I didn’t hurt myself or do too much. 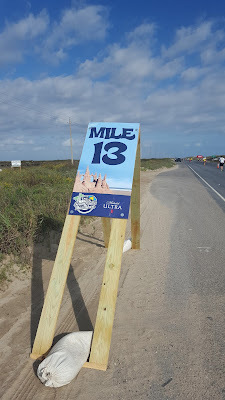 Mile 11 was over 12:00 minutes because I had to stop and use the porta. Other than that, I was surprising myself with how fast I was going. I was down in the low 11:00 minute range for most of my miles. 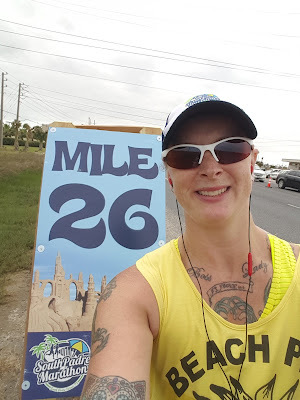 Toward the end, my pace started slipping because I was obviously getting tired, but I still felt mostly great. The final .55 mile I kicked it into overdrive and pulled out a 10:39 min/mi pace! 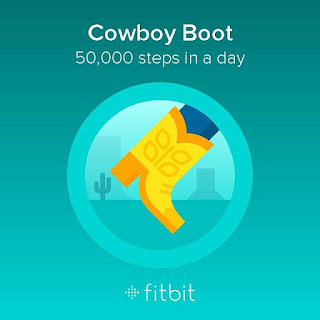 Thanks to FitBit, I know that I took over 49,000 steps while running this marathon. 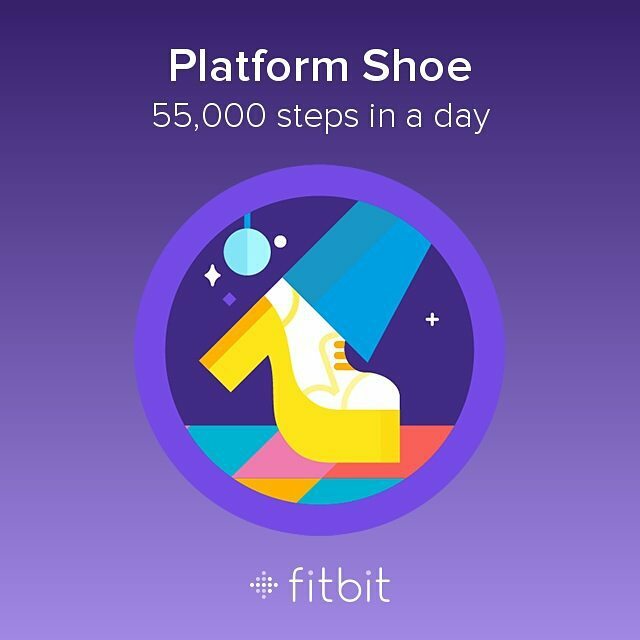 I earned 6 new badges too! 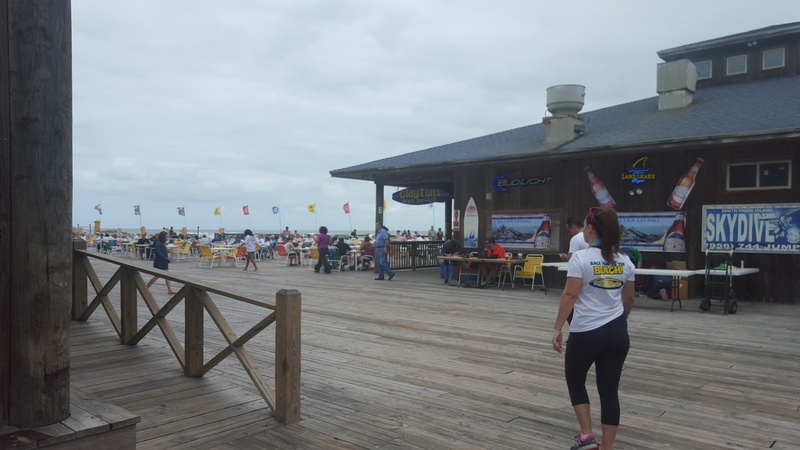 As I said, the finish line was at Clayton’s Beach Bar. I made my way up to the bar and got my free Michelob Ultra and ordered a bacon cheeseburger with fries. I then had my food within 5 minutes. I sat down and ran into a couple whose table I had shared the night before at the pasta dinner! 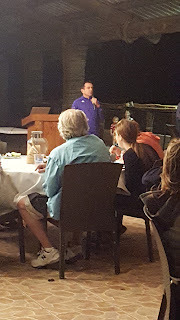 So we talked about the race while I ate. 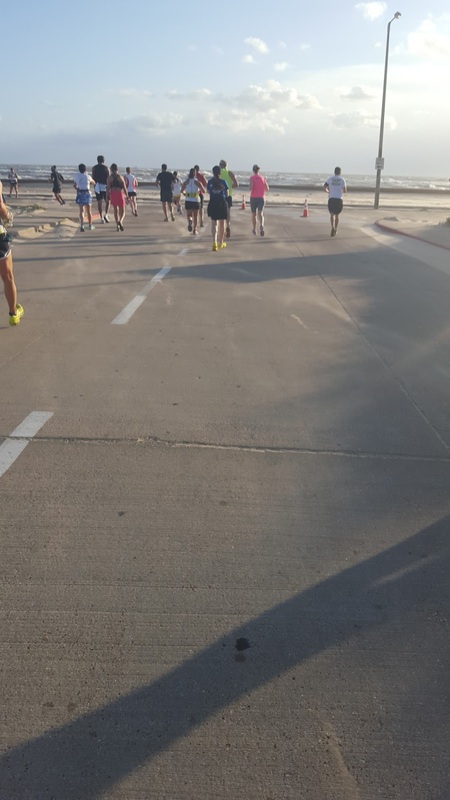 They had ran the half and had been hanging out for a while, just enjoying the whole experience. As I was eating, Brianna, Derrick’s fiancé, came up to me and thanked me for being involved with the social media aspect of the race and said she hoped we could collaborate in the future with other events, to which I whole heartedly said I would love to! 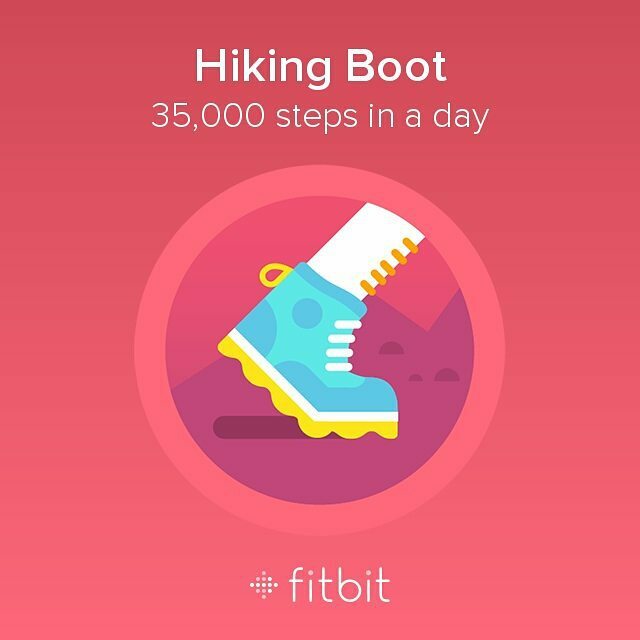 Surprisingly, she told me I was not only ONE OF the more active people on social media for this marathon, but I was THE MOST active. Really? I was out of commission for almost 2 months! I do really look forward to working with the two of them more in the future. I said something about if they had awards that I would make sure I earned the “Queen of Social Media” award. Haha! My ultimate opinion of this race? One of the best I’ve ever run! 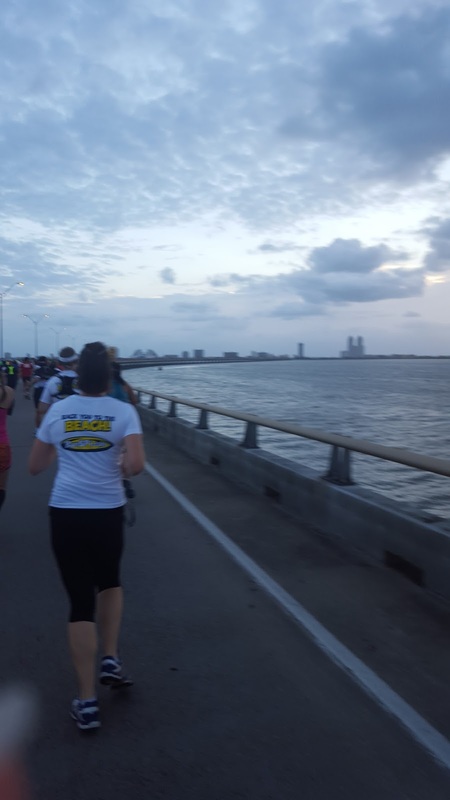 The organization was lacking in a few places, but overall, it was a well-organized race with wonderful opportunities. I do wish the expo had been bigger and had more vendors. I wish the check out to purchase official merchandise had been better. The race scenery was gorgeous! I loved getting to run over the causeway bridge! The volunteers were THE BEST! The support was phenomenal and there was so much of it that I had to skip a few of the water stops to keep myself from over-hydrating. 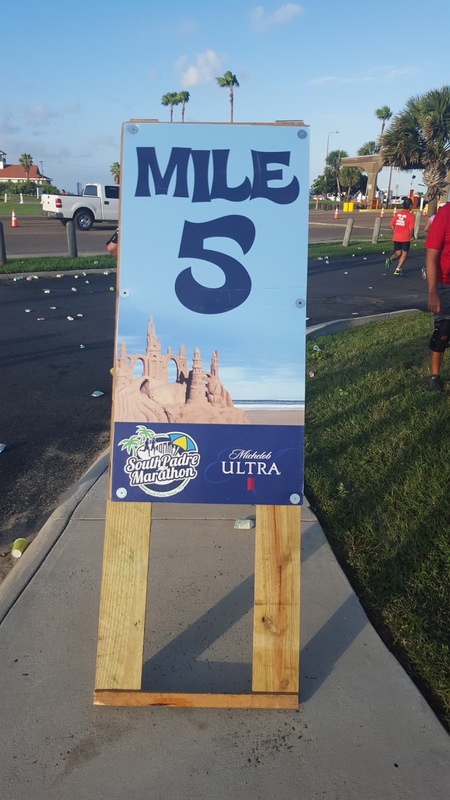 One thing I was hugely disappointed in was that they built up these 20 selfie stations that would be along the course. I never saw even one. so, I don’t know what happened there and nothing has been posted on their Facebook page regarding it so far as I’ve noticed. 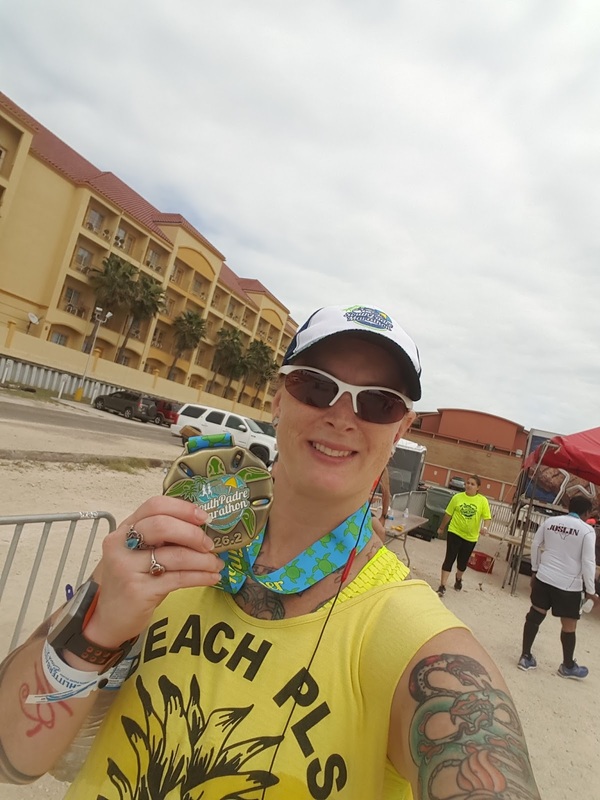 I finished this race with one thought: I would absolutely run this race again! The day after the race, I had a thought. 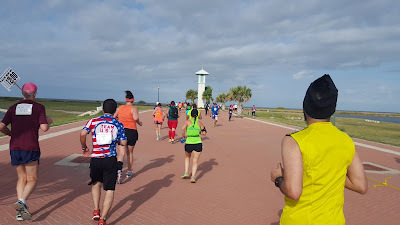 This was the inaugural South Padre Island Marathon. Wouldn’t it be cool to run it EVERY year?!?!?! I hope this race returns next year and continues to happen for years to come! 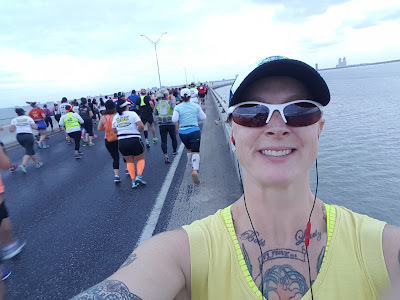 A few weeks ago, when my “serious” (as I call her because to her, running is business and not just for fun like it is for me) runner friend found out that I was still intending to run this marathon, she was appalled. I don’t remember her exact words, but the essence of what she said was that if it was her, she would bow out and not run the marathon. Now, I’m not saying that me deciding to still run the marathon was the smartest decision because it wasn’t. BUT! It turned out alright for me in the end and I successfully completed my 4th marathon! I’m not recommending that anyone go out and run a marathon when they’re not properly/fully trained, but for me, it ended up being okay. I am telling you that only you know your body and your limits, so don’t let anyone else tell you what you can or can’t do or what you should or shouldn’t do. You do you. Period. 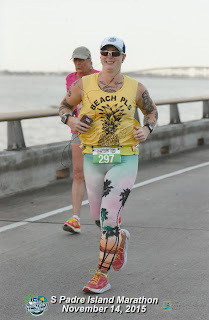 And now, we have my official race photos! you'll do fine, just do what you always do and listen to your body! hopefully we run into each other since we're both running San Antonio...do you still have my phone #? 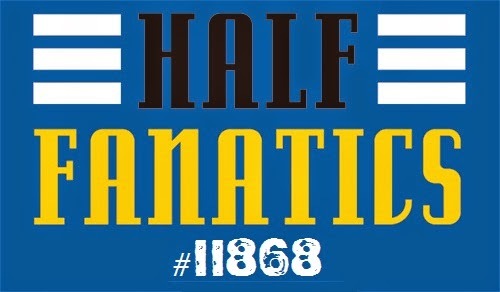 I'll be doing the half this year and I am excited. I am currently nursing a stress fracture after running a half on what I though was a bad shin splint. This will be my first run out of my boot.